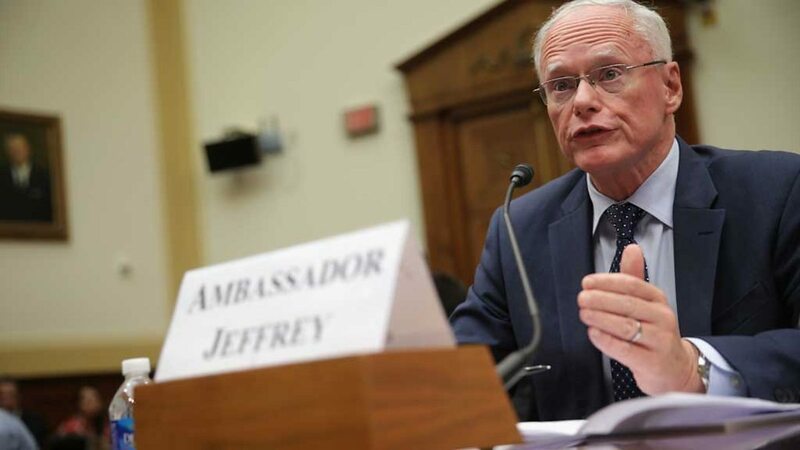 United States Special Representative for Syria Engagement and the Special Envoy for the Global Coalition to Defeat ISIL, James Jeffrey, stated that Washington will work together with Ankara to create a safe zone in Syria next to the Turkish border, without the presence of the People’s Protection Units (YPG). YPG, which forms the central command structure of US-backed Syrian Democratic Forces (SDF), is a Kurdish militia that Turkey regards as a terrorist group due to its affiliation with the outlawed Kurdistan Worker’s Party (PKK), a rebellious group which has waged a decades-long insurgency in Turkey. Jeffrey emphasized, during a US-Turkey conference in Washington on Monday, that YPG will not pose a threat to Turkey during the establishment of a safe zone in Syria, the state-run Anadolu Agency (AA) reported. “We will work with Turkey to ensure that zone remains free of any threat to Turkey, and introduces stability,” Jeffrey said. He acknowledged that Washington is aware of the security concerns that Turkey has after the withdrawal of American troops was first announced in December by US President Donald Trump. In February, the US said it would leave 400 troops in Syria, a partial departure from Trump’s earlier remarks in which he pledged a full-fledged US pullout. The US administration changed the course of its withdrawal plans after facing pressure from its European allies. A significant legion of US forces, along with European troops, will lead the mission for the formation of a safe zone. Turkey has been determined to develop a safe zone in northern Syria for several reasons; one being the aim to relocate and accommodate some of the millions of refugees to northern Syria, and another to contain the expansion of YPG militia in the region. Jeffrey stated that the US also has its own security concerns, including their warfare against the Islamic State (ISIS), but stated that they are intensively working on a way forward. ISIS aims to create an Islamic state, known as a caliphate, across Iraq and Syria. Redrawing the map of the Middle East, ISIS controlled more than 34,000 square miles in Syria and Iraq in 2014, spreading from the Mediterranean coast to the south of Baghdad. US-backed coalition forces have been notably successful in taking back territory since 2017.